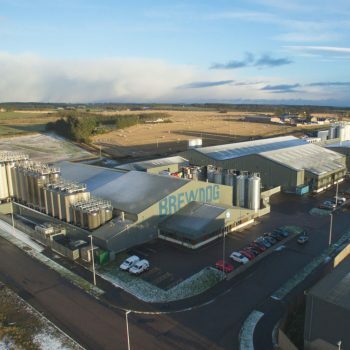 BrewDog is stepping up its global ambitions as it reveals plans to establish an Australian brewery hub in the Spring. The Aberdeenshire-based independent brewery, which was founded by school friends James Watt and Martin Dickie in 2007, has appointed former HR director (‘Head of People’) Zarah Prior to identify potential locations for a brewery Down Under. The Australian native will also use the company’s existing shareholder community in Australia – the crowdfunding Equity Punk online forum – to help identify a suitable council, and navigate local planning and legislative hurdles. Prior said the Australian Equity Punk community had been “crying out” for the company to set up shop closer to home, and she was excited to finally be making that happen. The company confirmed to db that it is still planning to open a brewery in Asia in response to surging demand in the Far East, in addition to the new Australian brewery. 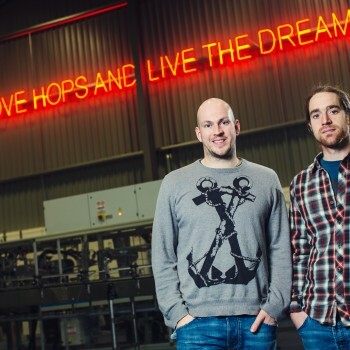 Since launching its first crowdfunding initiative eight years ago, the brewery has established a investor community of more than 55,000 people around the world, who have collectively invested more than £40million in the brand. The new Oz brewery, which is expected to focus on the up-and-coming Brisbane and Newcastle areas of Eastern Australia, will be the company’s third, following the establishment of a USD$30 million brewery in Columbus Ohio in February. It is looking to either re-develop an existing industrial site with a new 2,000 – 4,000m² built up facility, or build on a new plot of land, it confirmed, adding that promoting urban renewal or transformation as high on the criteria agenda. The company has also branched into spirits with the launch of a spirits arm, Lone Wolf, to develop a range of vodkas, whiskies and gins. Earlier this year the company was valued at more than £1 billion, after US private equity firm TSG Consumer Partners bought a 22% stake in the brewery in April for £213 million. Sales rose 61% in 2016 to £71.8m, boosting its pre-tax profits by 8% to £3.76m, according to the Daily Telegraph.